When we first stared homeschooling, we thought we would pick out one curriculum, use it for every subject and then pass it on down the line to the next child. Our learning curve was quick in realizing that each of our children learns a bit differently and responds to different ways that material is presented to them. We have some readers, some listeners, some watchers, and some doers. Do we cater to each child in every subject? That would be a resounding NO, because spelled a little differently this would mean sheer exhaustion and INSANITY for mom. We combine some subjects we are doing this year with the boys in science, we pass down some curriculum in honor of living on a budget, and we do customize when there is a good reason to do so. Without further ado, here is what we are using this year at the True Light Christian Academy from the top down. Our high school students had a lot of say in the planning of our new year, while Dad and I laid out the plan for the boys. **Please be sure to click on the links to read our review of these curriculum choices. Reading 4 – Bob Jones Press Grammar and Writing 4 – Bob Jones Press Spelling 4 – All About Spelling Cursive Success – Handwriting without Tears Math 5/4 – Saxon Oceanography – Apologia’s Zoology 2 and Supercharged Science Heritage Studies 4 – Bob Jones Press Beginning Piano – Adventus Kids Theatre – class at co-op Equine Science – class at c0-op We are excited that the kids will also be playing sports on the Georgetown Crusader teams and through Upward Sports. They will also continue pursuing their own special interests. Our family has been blessed to be a part of the TOS Review Crew this past year. The reviews highlighted in this post are curriculum we received as a part of being part of this great team. 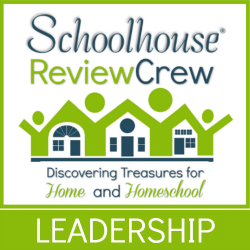 If you are a blogger and homeschool, I will be happy to share more about how your family can be a part of this team during their next review year. Next post: No Money to Homeschool?